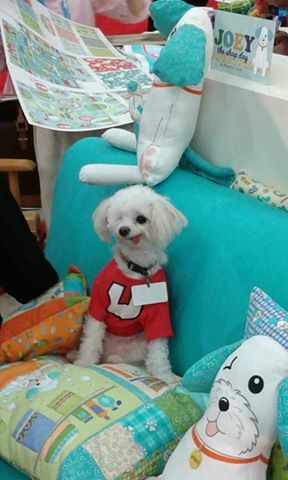 Be sure to check out the Benartex Blog at http://sewinlovewithfabric.blogspot.com/ where they are celebrating We Love Our Pets Week! 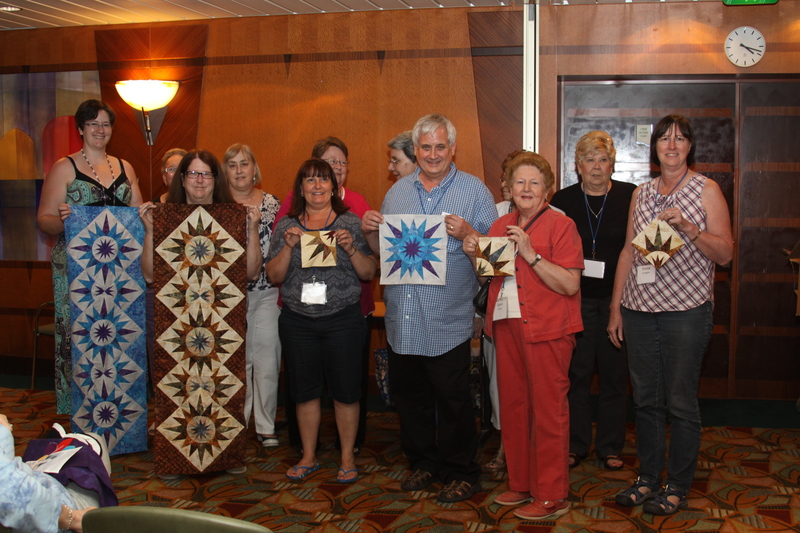 There is a project featured in Fons and Porters’ Easy Quilts that uses Joey the Shop Dog fabric and the Benartex Blog talks about it. How exciting! Joey is very flattered! 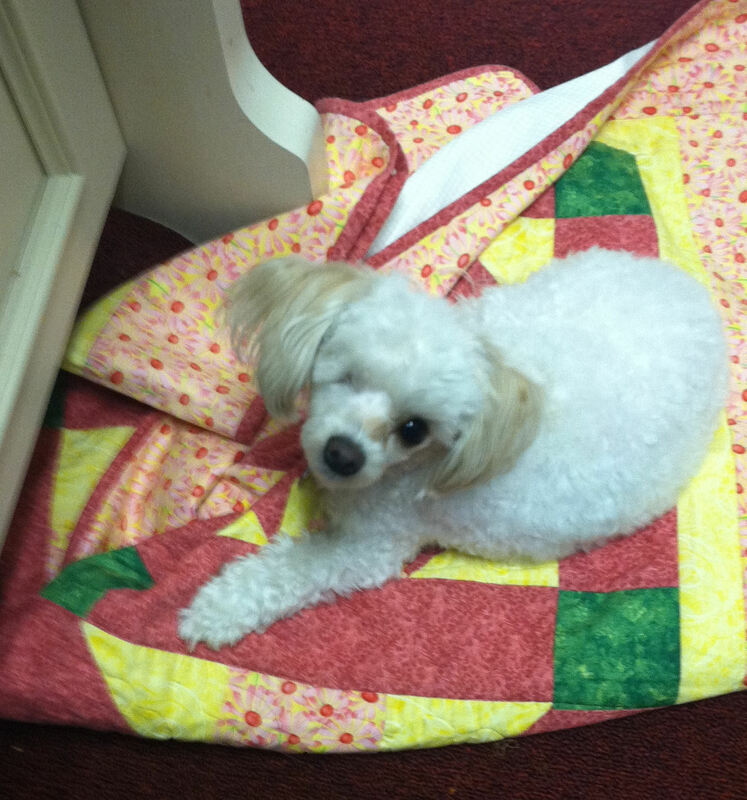 He’s just laying back in the shop this week on one of his favorite things…a big fluffy pillow! 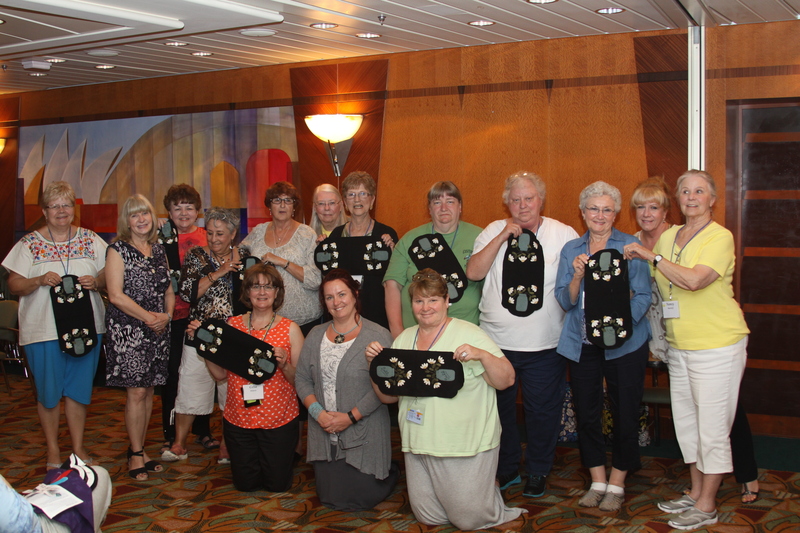 Please check out their Blog and stay tuned for Joey’s new Nap Mat project! Did you know that my mama designed fabric about me!! It’s called Joey the Shop Dog and it is made by our friends at B enartex. There are lots of prints and two panels, one makes a little stuffed Joey!!! 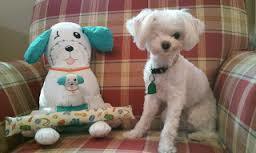 Here I am with the stuffed “Joey”. Can you tell which one is me??? (I’m on the right). The panel even makes a baby Joey to put in the pocket of the bigger Joey. I love it!!! 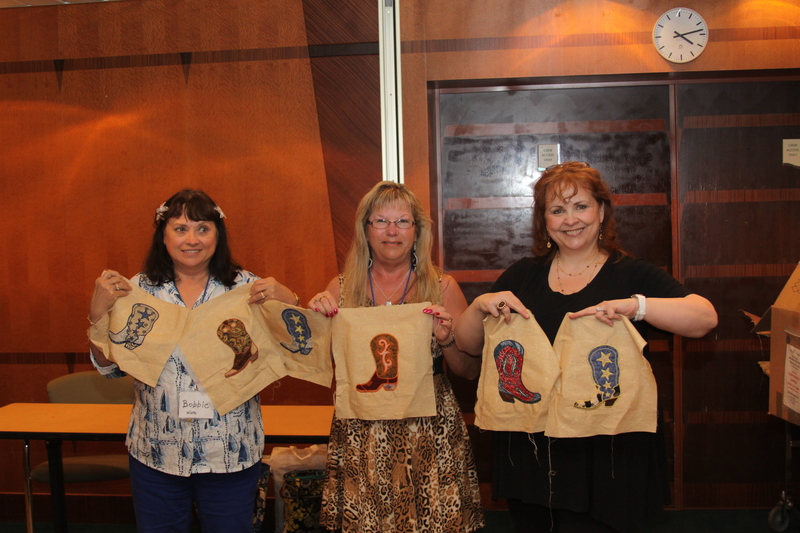 When the fabric was shown at Quilt Market in Houston, I needed to be there to meet all of the shop owners and tell them about myself! It was hard work for a little pup, but I was up for the challenge! Here I am in the booth. Since it was Halloween, I got to wear my Underdog costume. Don’t I look like a super hero? I even had a little sofa and everything so that I could sit next to Mama! It wa s great! 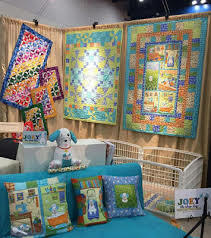 Here is another picture of the booth with the quilts they made with my fabric. Isn’t it pretty? I think they did a great job and I’m so thankful to all of the Benartex people for being so friendly to me and making me safe. I love them very much! I met lots of people from all over the world! I met folks from Russia, Germany, France, England and more! Of course there were wonderful American shop owners there too. I liked meeting them too…I could understand what they were saying! But at the end of the day, I was very, very tired. But thank you to everyone who bought my fabric. A percentage of all of the sales of this fabric is going to be donated to Petfinder.com so please tell your friends. 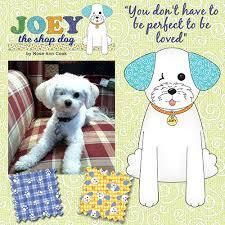 Joey the Shop Dog fabric ships to quilt shops this month! 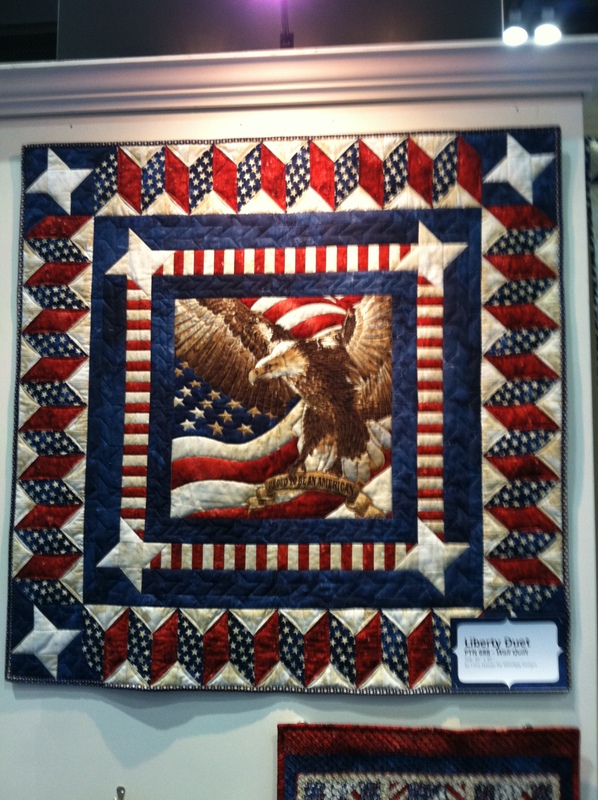 I know it will be at Quilter’s Emporium! I designed a new fabric line with good people at Benartex! 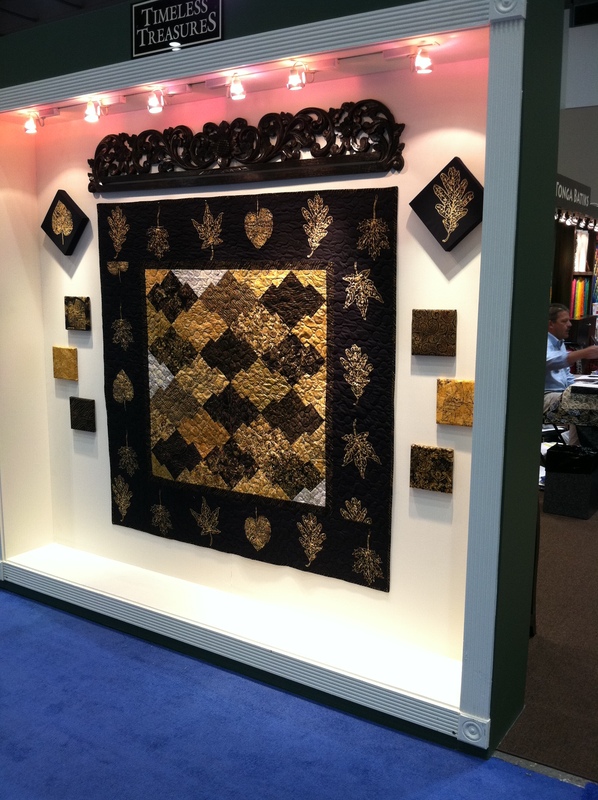 It’s called Glass House and it is available in stores now…for sure it is at Quilter’s Emporium! I had a great time creating this collection. It’s a blender line in gorgeous colors in the textures of glass. I think they are beautiful (of course) and customers who have seen it also love it. I hope you like it too! Do you have a “Bucket List”? A list of things that you want to accomplish during your life? I do! I’ve been blessed to have been able to check off a few of the things on my list, like having my shop featured in the Quilt Sampler Magazine…that was a biggie! Recently, I was able to check off another one..having a book published! Woo-hoo! 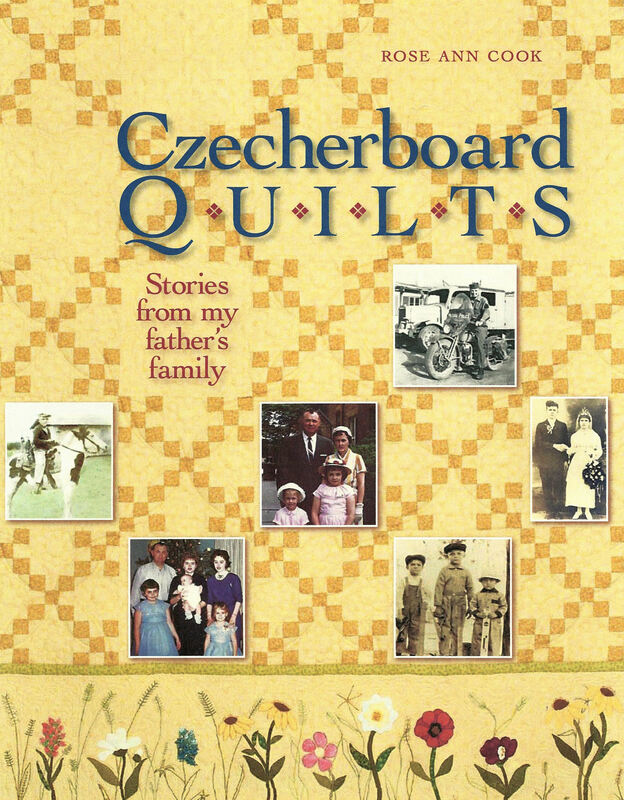 “Czecherboard Quilts” was released in J uly from Kansas City Star Publishing. In it, I share stories about my father’s Czech family and I’m so proud of it. Of course, I have plans to write another one, featuring stories about my mom’s Canadian/Scottish heritage. If I don’t do that, I’ll never hear the end of it when I see her in the afterlife! But back to the bucket list, I have a lot of projects still in my head that I want to make at some point or another…Feathered Star quilt, Baltimore Album, Dear Jane, etc. etc. etc. Machine quilt a great feathered border. 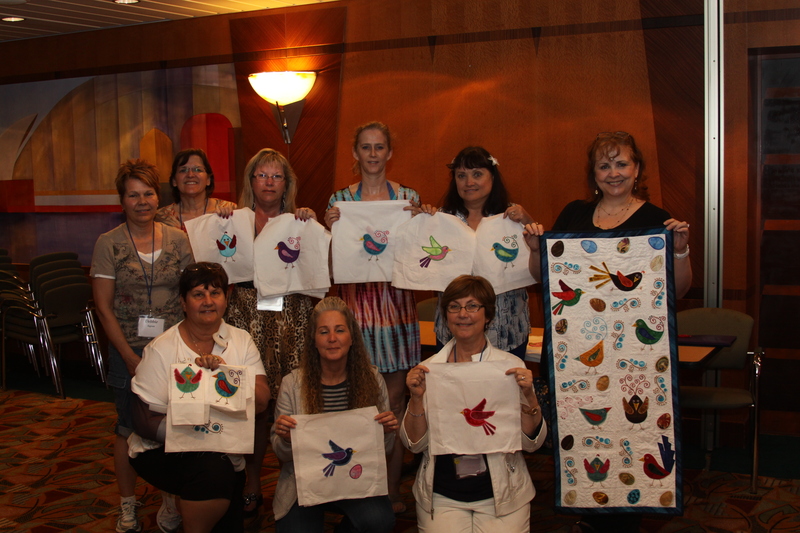 What is on YOUR quilting bucket list? Maybe it’s learning a new quilting or piecing technique. 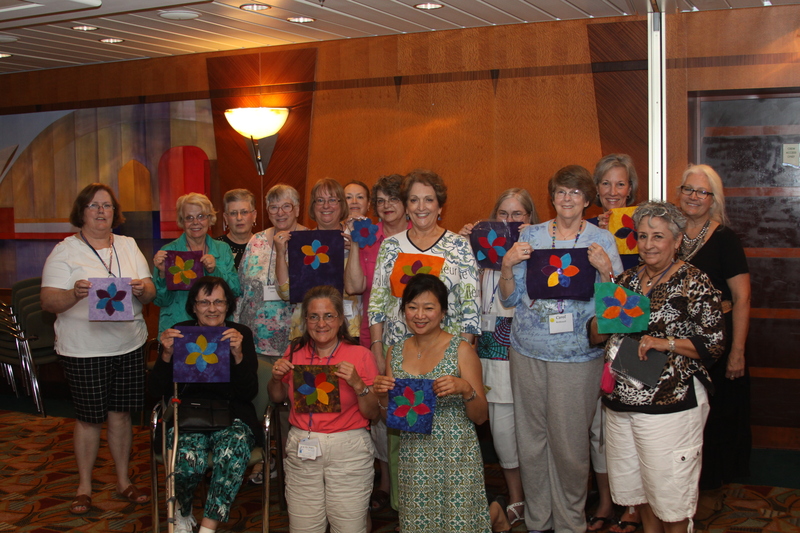 Is it making a quilt for all of your grandchildren? 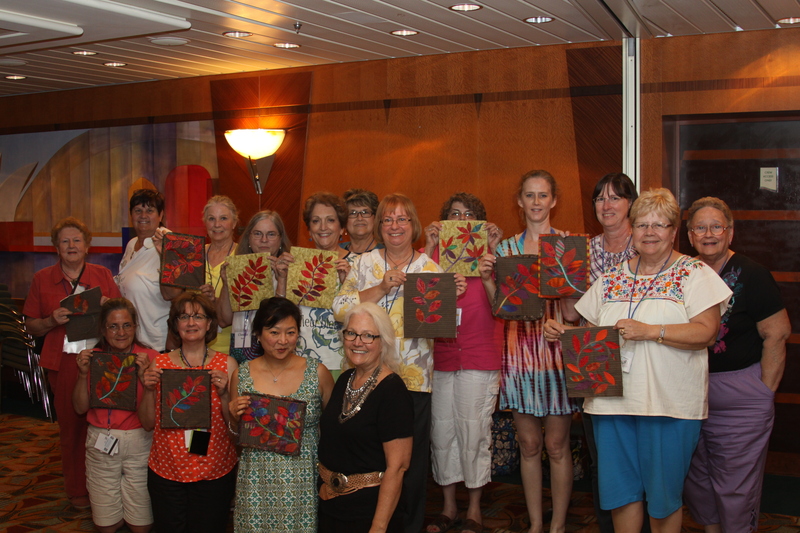 We can offer classes at the shop to help you complete the items on your list…just let us know what you want! 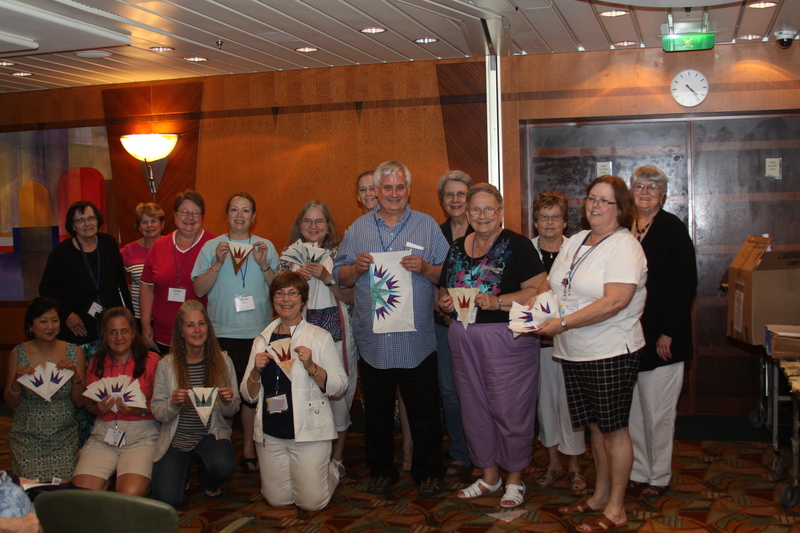 Perhaps we will host a monthly Bucket List Club… who knows where this will lead? 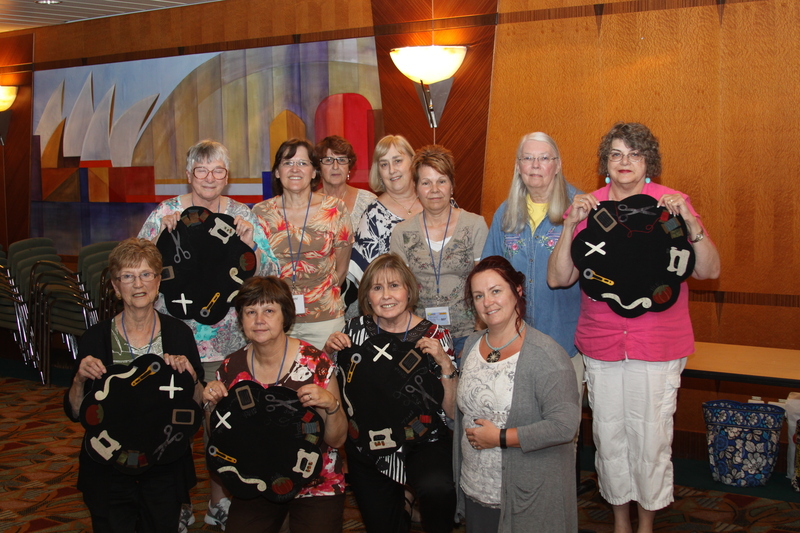 What is on YOUR Quilter’s Bucket List? Had a terrific time in Kansas City Spring Market! Anyway, the 3 of us were totally energized for this trip! We had just reviewed the responses of our pre-market customer survey and we were prepared for looking into new things to bring back! 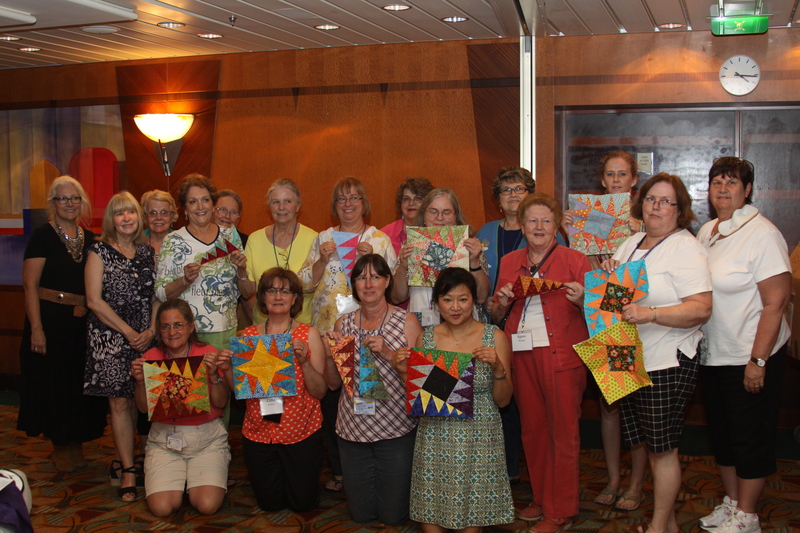 Here are some photos of things that you can look forward to seeing at Quilter’s Emporium soon! So many news fabric designs…Civil War Repros from Jo Morton, great gradiated designs from Karen Combs, and new finds from Moda, like Zen Chic…all will be coming through the doors soon! 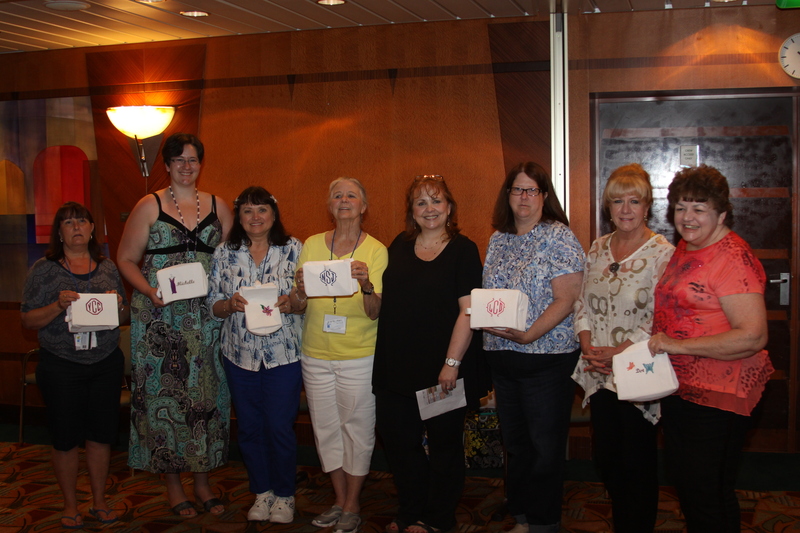 We ordered quite a wide variety with a real nod towards the new Modern Quilting Movement. There is something for everyone! Brigitte from Zen Chic – Moda! 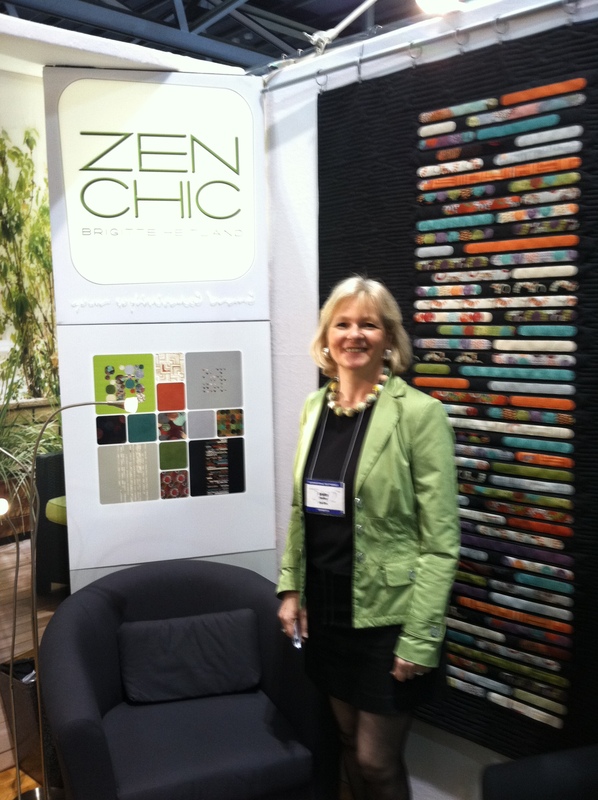 Check out the fabulous new quilt from Zen Chic hanging behind Bridgette! Stunning…just stunning! 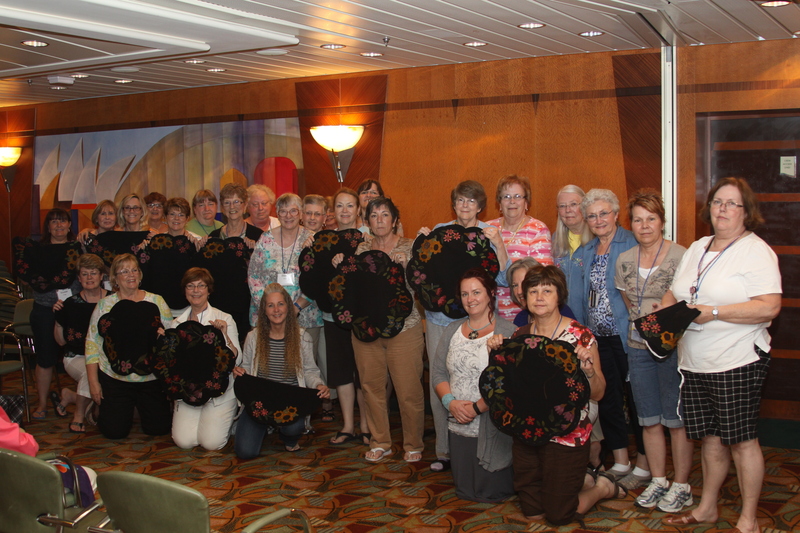 We were also introduced to an old embroidery stitch that is gaining a renewed interest. It is called “Twilling”. I plan on hosting “Twilling” classes for an hour most Saturdays in June. Come and check one out. They will start at 3pm, but check the class schedules to confirm. It’s fun and quite addicting! You’ll love it! Several have asked for an updated photo of Joey, the shop dog. He was working with me today so here’s a pic of him trying to take a nap by my desk. I sure missed him while I was gone! Joey is “hard at work” by my desk.